Arundhathi Subramaniam’s poems explore various ambivalences – around human intimacy with its bottlenecks and surprises, life in a Third World megalopolis, myth, the politics of culture and gender, and the persistent trope of the existential journey. Neil Astley filmed her reading a selection of her work in Bombay in November 2011. 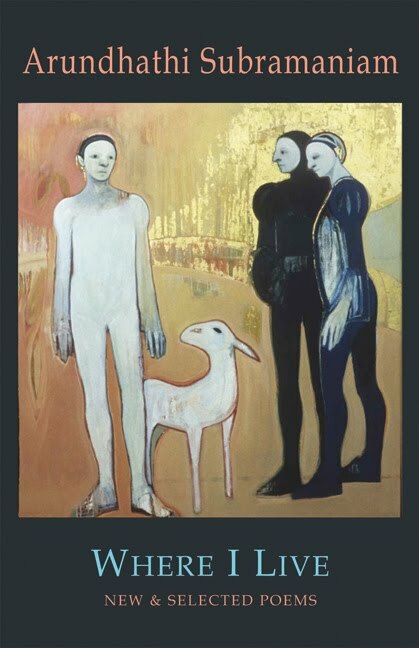 Here she reads eight poems: 'Winter, Delhi, 1997', 'To the Welsh Critic Who Doesn't Find Me Identifiably Indian', 'Prayer', 'Home', 'Madras', 'I Live on a Road', 'Recycled' and 'Confession', all from Where I Live: New & Selected Poems (2009). by the great winter shawl of their affection. when I threaten romance with a Pakistani cricketer. than their daughter who birthed me. as much as I, them. as a mouth-freshened global village. remake me as you will. the Chola bronze of my skin. with cow-dung and turmeric and godhuli. rancid, on the other side of the counter. to the country of my birth. on every page of world history. to ﬁll in the crevices. from the fragrant shop near the Kapaleeshwara temple. of hair under each arm. ﬂanked by two ﬂower pots. the darkness in ways that are in tune with the dark. Where I Live combines Arundhathi Subramaniam's first two Indian collections of poetry, On Cleaning Bookshelves and Where I Live, with a selection of new work. Her poems explore various ambivalences – around human intimacy with its bottlenecks and surprises, life in a Third World megalopolis, myth, the politics of culture and gender, and the persistent trope of the existential journey. They probe contradictory impulses: the desire for adventure and anchorage; expansion and containment; vulnerability and strength; freedom and belonging; withdrawal and engagement; an approach to language as exciting resource and desperate refuge. Her new poems are a meditation on desire – in which the sensual and sacred mingle inextricably. There is a fascination with the skins that separate self from other, self from self, thing from no-thing. These are poems of dark need, of urgency, of desire as derailment, and derailment as possibility. ‘This is writing that creeps up on the reader quietly, sometimes with just the whisper of a sari, or the taste of a lullaby, and yet spins suddenly on the edge of stark recognition. Arundhathi Subramaniam’s is a strong new voice’ – Imtiaz Dharker. ‘A marvellous collection, wonderfully varied and rich’ – John Burnside. ‘Subramaniam’s poetry is one of illumination. She flashes a pencil-torchlight on a subject, and suddenly you feel you are the richer for it… Even more than precision, what defines her verse is its subtlety and the angle of vision from which she sees life’ – Keki Daruwalla. Where I Live is available now from Amazon.co.uk by clicking on this link. 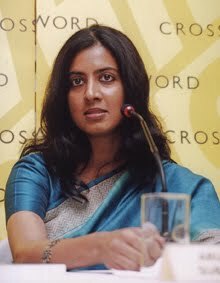 ARUNDHATHI SUBRAMANIAM lives in Bombay (a city she is perennially on the verge of leaving) where she works as writer, editor and curator. She has published two books of poetry in India with Allied Publishers, On Cleaning Bookshelves and Where I Live, and in Britain, Where I Live (Bloodaxe Books, 2009), which combines selections of work from her two Indian collections with new poems. She has also written The Book of Buddha (Penguin, 2005) and Sadhguru: More Than a Life (Penguin, 2010), co-edited Confronting Love (Penguin, 2005), an anthology of Indian love poems in English, and edited Pilgrim's India: An Anthology (Penguin, 2011). In 2006 she appeared at London’s Poetry International festival and gave readings throughout Britain on a tour organised by the Poetry Society.